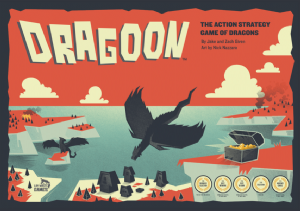 Dragoon is an action strategy game with an ever-changing landscape. Village and city tiles populate the map each round using a coordinate system. During your turn, choose between claiming villages and cities that pay you tribute, or destroying them out right for instant gold. 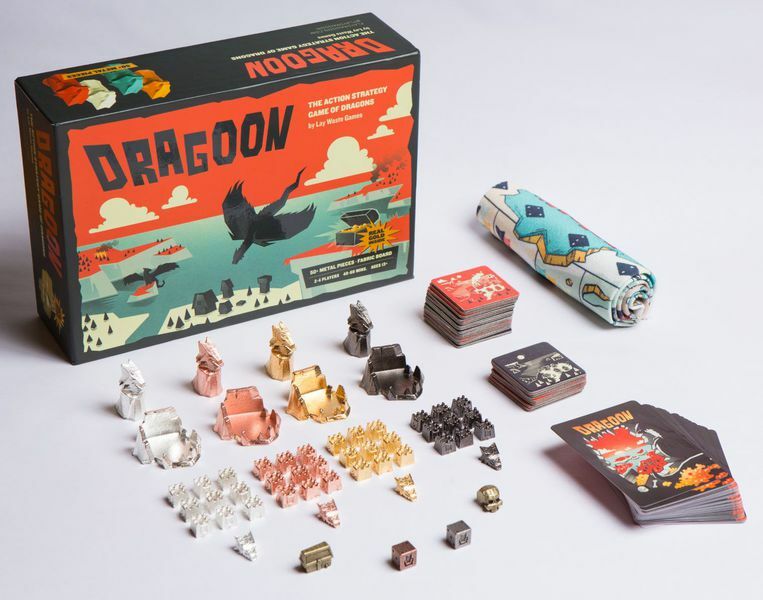 Challenge other players in dragon-to-dragon combat before they lay waste to your empire or enter your cave to steal your riches. 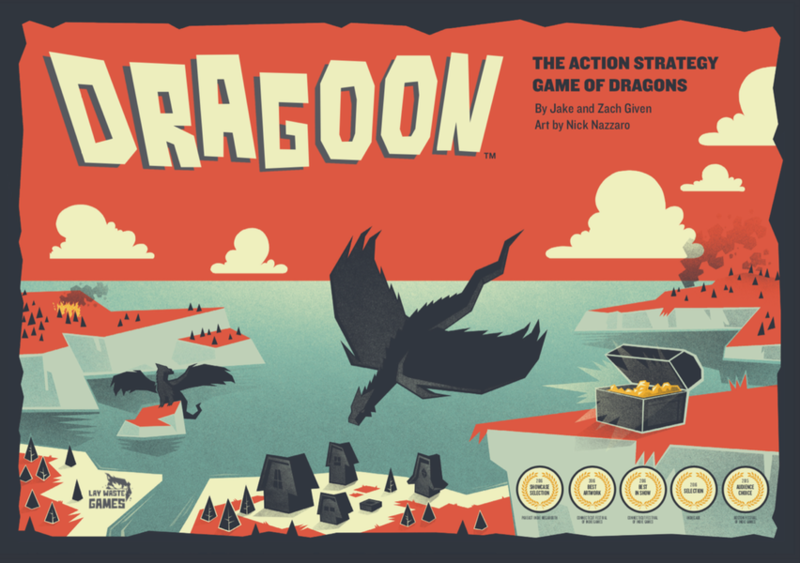 You’re never out of the game until the last gold coin is snatched up!